Andrea Foore, our Agribusiness Lending Officer, agreed to “farm sit” for friends while they were away. On a recent very cold morning, Andrea awoke to temperatures of zero degrees. Andrea went to check on the cattle herd at 6 a.m. and she came upon a cow unexpectedly calving. Andrea knew due to the low temperatures the calf could be at-risk and possibly die. 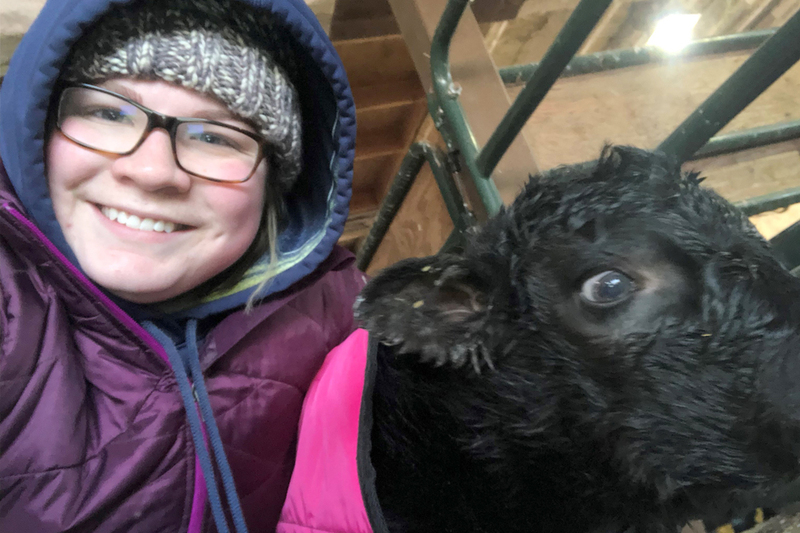 Andrea helped with the birth and then with the help of another individual, lifted the calf into the back of a truck and wrapped it in blankets. 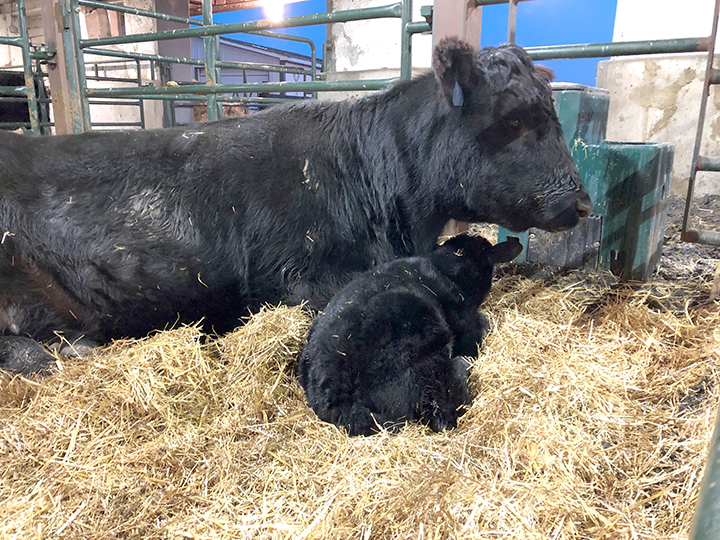 We’re happy to say that the Mother cow and calf are doing well. Andrea had quite the story to tell when she got into work later that day! Click here to learn more about Agribusiness lending.